Be a fly on the wall in the time of the Vikings. Watch skilful ship builders at work, charge into battle, visit a Viking farmstead, enjoy the hustle and bustle of Jorvik on market day and listen to fireside tales about the Viking gods ? you can even wipe a tear from your eye at a Viking funeral! These pages are packed full of up-to-date information about Viking life from the latest archaeological discoveries. 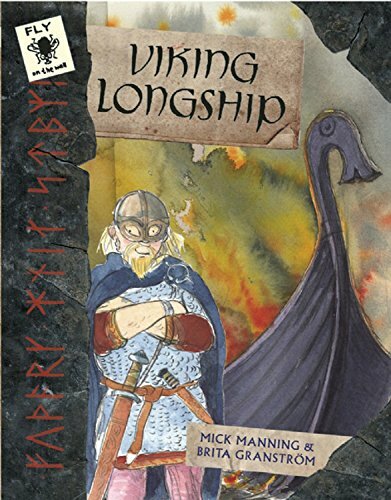 With drawings, notes, wood shavings, straw, wolf fur and axe marks, this book shows you history as it really happened! Mick Manning grew up in Haworth, West Yorkshire, and studied Illustration at the Royal College of Art in London. He has written and illustrated over 60 books, mostly with his partner Brita Granstrom. Their distinctive books have won many awards. Their first book, The World is Full of Babies, won the Smarties Silver Prize in 1996. Their other books with Frances Lincoln include the critically acclaimed Fly on the Wall series: Roman Fort, Pharaoh's Egypt, Viking Longship, Greek Hero, Tail-End Charlie and What Mr Darwin Saw. 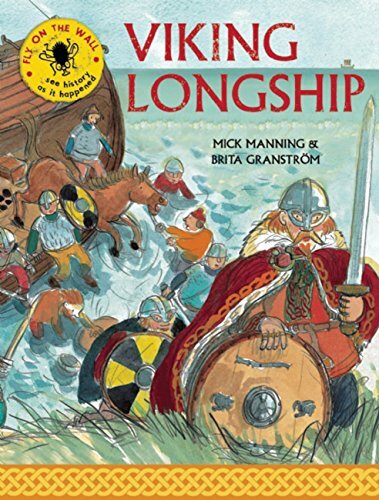 Both Roman Fort and Viking Longship were shortlisted for the English Association 4-11 Awards and Greek Hero won in 2008. Snap! is the follow-up to Yuck! which was a regional winner of the Highland Book Awards 2006. Recently Mick and Brita donated the entire body of work created for their book Fly on the Wall: Greek Hero to Seven Stories, the center for children's books Mick and Brita live in the Scottish Borders and have four sons.